This Labor Day is a time of celebration. Our economy is finally growing again: the stock market has set new records and corporate profits are up, as is the productivity of American workers. This Labor Day is also a time of reflection and recognition. The wealthiest 1% of Americans now possess 40% of the nation’s wealth, while the bottom 80% own only 7%. 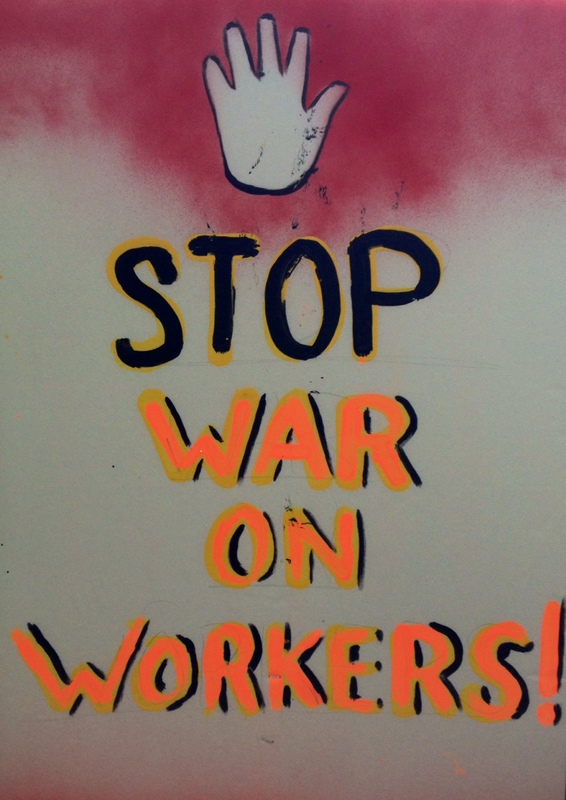 Workers are still struggling, and many remain in the shadows! Wages are stagnant, and low-wage workers’ incomes are actually shrinking. So, this Labor Day is a call to acknowledge that we are coming out of the Great Recession due to the unrewarded, or under-rewarded, toil of workers in the US. We need to celebrate their hard work as we recommit ourselves to economic justice for all. 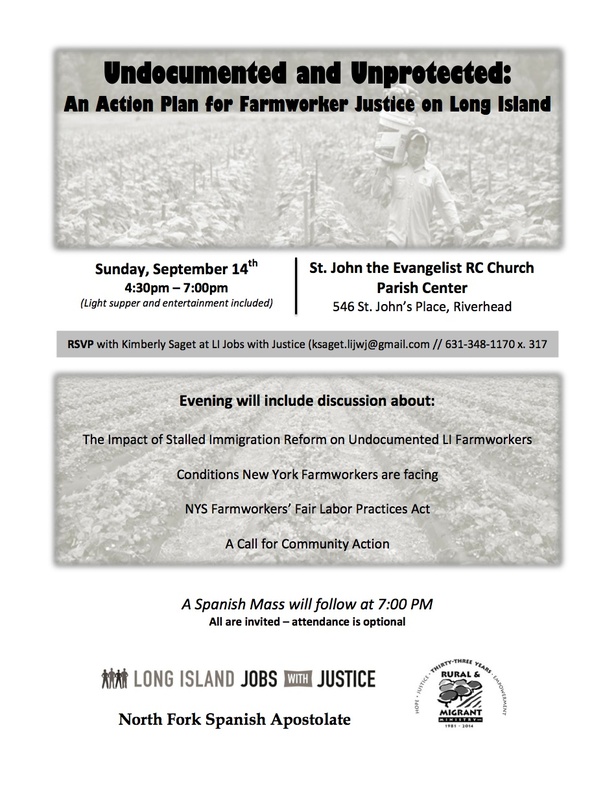 Second, on Sunday, September 14th, we invite you to attend a workshop, “Undocumented and Unprotected: An Action Plan for Farmworker Justice on Long Island,” from 4-7PM at St. John the Evangelist Church in Riverhead. At this workshop, you will learn about the specific hardships faced by undocumented immigrant farmworkers on the East End, who are not protected by federal or state labor laws. The workshop will focus on what you can do to support them in the coming weeks and months . A free light supper will be provided, but please RSVP with Kimberly Saget at ksaget.lijwj@gmail.com or call 631-348-1170 ext. 317 so that we know how much supper to provide. Let’s make this Labor Day more than a backyard barbecue, back-to-school sale or trip to the beach. Let’s truly honor workers and recognize the labor of those who have been kept in the shadows.